Today is the 22nd June 2015. It is exactly 4 months since Charles died. It is also the winter solstice in the southern hemisphere. The winter solstice signals a time of change, transformation and rebirth so it seems entirely appropriate that this blog has been written today. In a Facebook post recently I mentioned that I am starting to understand that so much in life comes down to accepting and embracing two simple things – choice and change. I chose to end my first marriage. It wasn’t making either of us happy. We had tried hard but we had made mistakes and it hadn’t worked out (that’s the simplified version). I could have chosen to stay and we’d have been miserable but I chose a different path. Both choices came with huge implications. I didn’t get a choice about Charles dying. It happened to me. But I do have a choice about how I respond and deal with it. I choose to see the best in what has happened, to see the joy and happiness that each day can bring, to seize opportunities, to love and be loved. I choose life. And by choosing life, I have also chosen to move on, to move forwards. Choosing life means that I need to carry on – I can’t live in the past and I don’t want to! That period of my life was very sad and I can’t alter it, it has happened and is unchangeable. Trying to live in the past isn’t a life at all. Clever Jen pointed out that I did actually have a choice and had already made it, without really knowing that I had. She told me that I could have chosen to curl up in a ball in my bed and refuse to get out. To lie there and pretend that the awfulness hadn’t really happened and hope that if I stayed under the doona long enough things might eventually, and magically go back to how they were. But that’s not my way. That wasn’t my choice. It turns out I’m a fighter and a do-er and I had already chosen life. I just hadn’t quite realised it yet. Do you bury your husband or have his body cremated? What should he wear in the coffin during the service? How do you best celebrate his life? Which coffin do you spend precious money on? Do you have an open casket viewing? Should I see him one more time before that coffin is closed and his body is gone from this earth forever? Where do I sprinkle (I prefer sprinkle to scatter) his ashes? I went through a stage where each and every choice weighed so very heavily on me. It was a huge burden that was mine to carry as his wife. (Take home point – WRITE A WILL) With a heavy heart, and hoping beyond hope that I made the “right” choice each time, I made them all. Life is also about change. Change, moving on, transitioning…sometimes these words evoke negative connotations, but in my case I only see light and goodness, and I only feel positive emotions. Adjusting to change, growing with those changes, evolving and becoming a newer, brighter version of yourself, isn’t that what life is all about? Our lives don’t ever stay the same – regardless of how much we’d sometimes like time to standstill or be able to press the pause button when our babies grow up too fast. I really don’t think we should strive to stay the same. I believe that we owe it to ourselves to evolve and develop, to try new things, learn, grow, achieve, maybe even sometimes fail at the first attempt, to challenge and be challenged. I have spent the last 4 months trying to find my feet while my whole world has changed. I am a different person to the one that woke up on 22nd February 2015. I am wiser. I am stronger. I believe in myself more. I am braver than I thought. I am also content and happy, looking forward to my future, whatever it may bring. More than that actually, I am excited and eager for this next chapter in my life. I have learned that through crazy, dark, truly awful times, good and shiny things can happen if you are open to them. In the months since Charles has died I have been able to have experiences I would never have had before. I have been able to pursue business opportunities I wouldn’t have even considered previously. 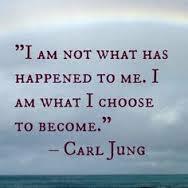 In part because my circumstances have changed and partly because Ihave changed and I have grown. Of life staying the same – it won’t ever be the same. I have a new normal and that is ok. Better than ok. It’s great. Of all his things, his clothes, his possessions – they won’t bring him back, they aren’t him. I have our memories and will never loose them, but seriously, what do I need a size 12 pair of men’s shoes for when someone somewhere has cold feet and really needs a nice (newish) pair of runners. Of the safety and security that I was used to – but I’ve learned I don’t need a safety net. None of that has been easy. Yes, it can be really scary. It’s also incredibly liberating. It’s all about how you choose to frame your life. If you make a choice in life that you later regret, you ultimately have two more choices to make – to stick with it (and change to make it better) or choose a different path. Both have consequences. When you don’t get a choice about something that happens “to” you, when life/fate/some divine being intervenes you DO have a choice about how you perceive that and how you choose to deal with it. You may as well accept right here and now that life changes – your circumstances, your husband/wife/partner, your children, you. It all changes. Get comfortable with change, embrace it and see it as an exciting opportunity for growth. When something so shocking and terrible happens in your life, such as suddenly losing your husband, I think it makes you more likely to seize chances at happiness, to say “yes” to opportunities and to live in the moment. The past is just memories, the future purely imagination, all we really have is right now. Life is for living. Make choices. Make mistakes. Learn from them. Move fowards, move on. But live.